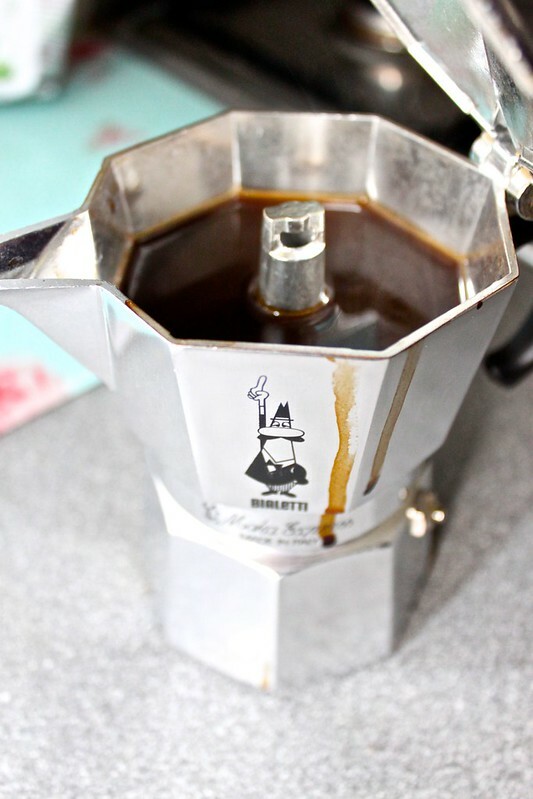 As a Christmas present I received this Bialetti Moka Espresso Maker and I finally got round to using it to make espresso for a Chocolate and Coffee Brownie recipe. First you fill the main bottom compartment with water to just below the valve. Then place the funnel or basket inside. 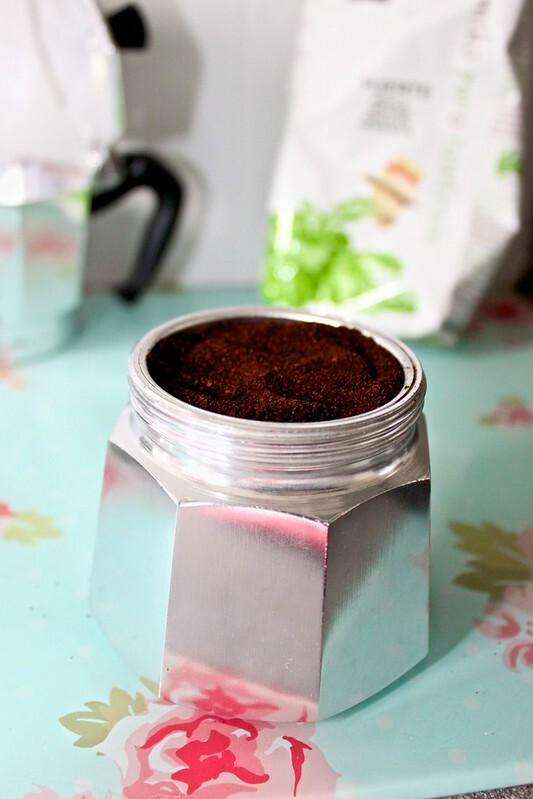 Add finely ground espresso coffee to the basket section – gently packing it down to get a stronger coffee. You then screw the bottom section into the top section and leave the lid open. Under a low flame heat the water slowly to boil. When it starts spluttering close the lid. If you get bored and heat it too quickly then it splutters in quite a dangerous way. So don’t do that! Keep it on the lowest flame setting and be patient. When it’s finished (it could take as long as 5 minutes) it should look something like this. Leave it for a couple of minutes before pouring. 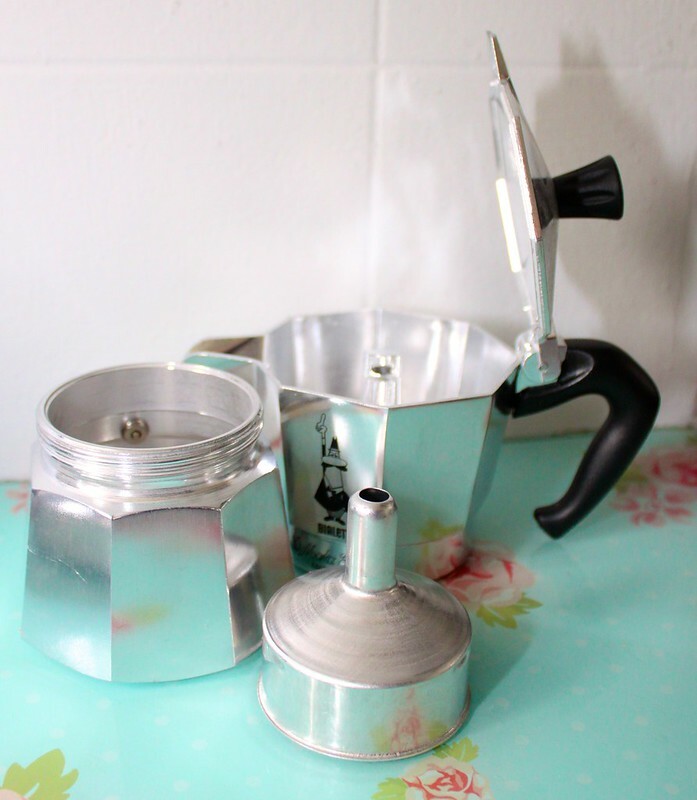 I mainly made this espresso to try out the maker and use it in baking. Although I did try the coffee I found the espresso style pretty strong and I much preferred the Puro coffee made through a filter coffee machine. 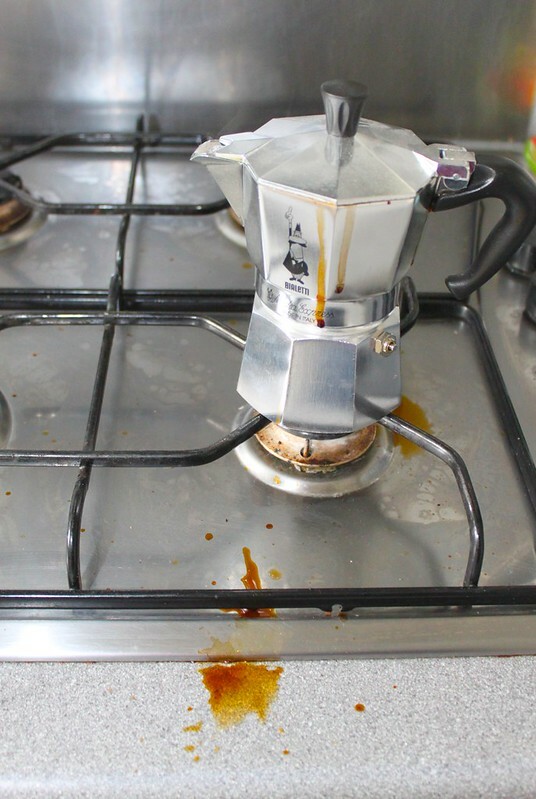 I used this helpful video when making Stove-top coffee. 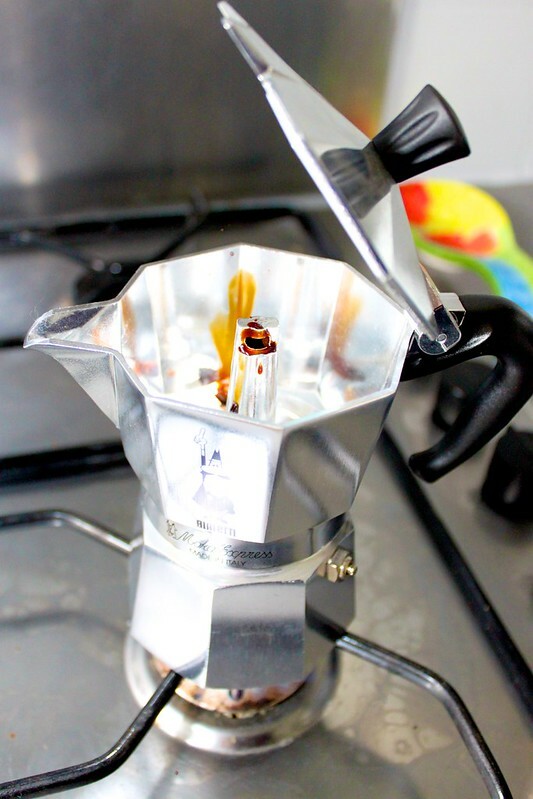 For making this espresso I used Puro fairtrade pre-ground coffee. 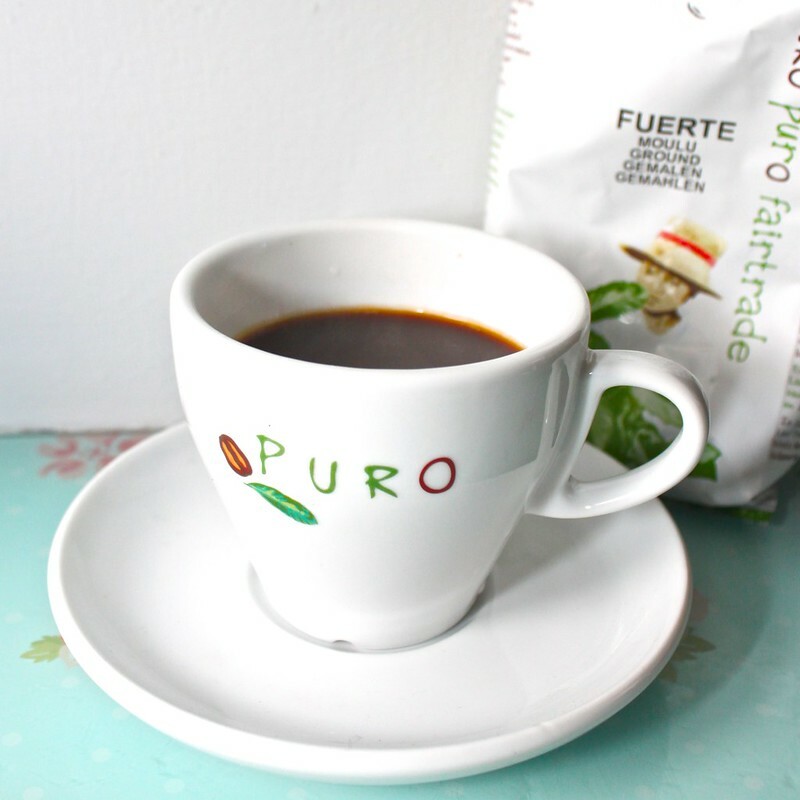 You can find out more about Puro fairtrade coffee on their website. Or watch this video about how buying fairtrade coffee helps the growers and the rainforest. Disclaimer: I received my first batch of Puro coffee for free from the company. Want to keep up with all my latest posts? I am @coffeemuffins on twitter.